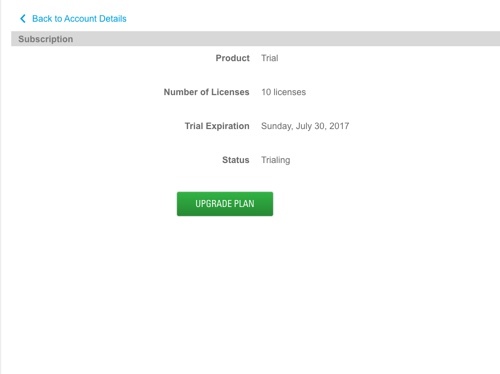 With June Release, we made easier for partners to provide prospects and customers a broadband only trial. Step 1: Create a customer. This will generate a new BroadBand Only Trial. 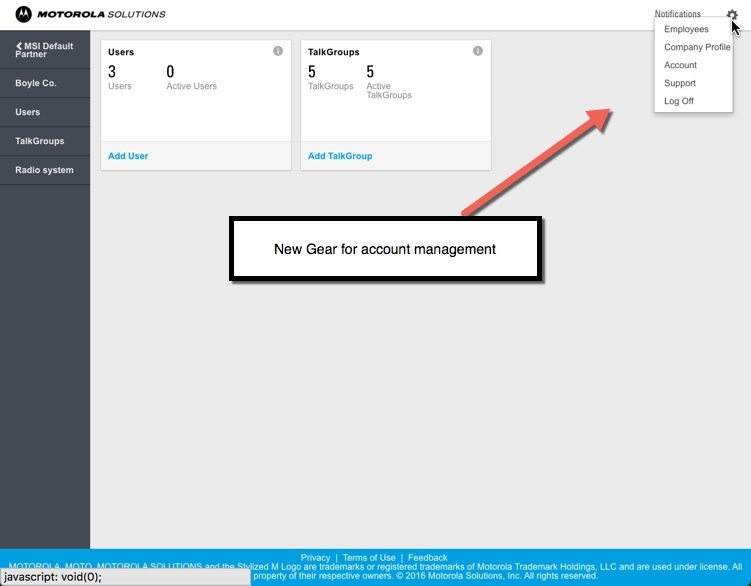 Step 2: Click the Gear Icon and select Account. 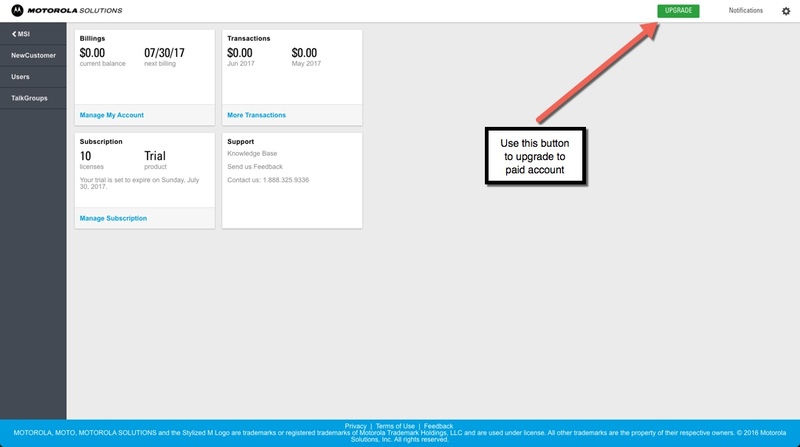 Upgrade is accomplished by clicking the upgrade button or from the account management screen. 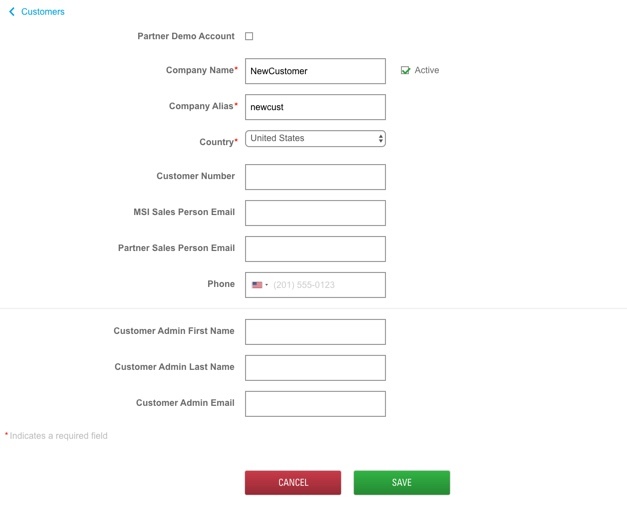 On the Account Page click Manage Subscription. Click the Upgrade Plan button. 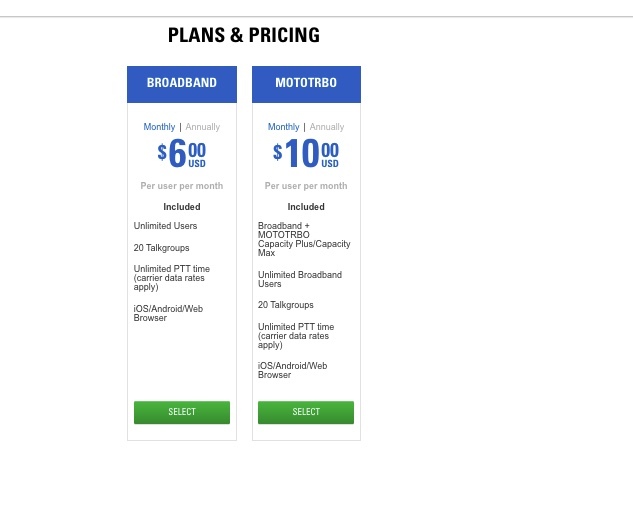 When you click on Upgrade Plan, the pricing and product page will open. 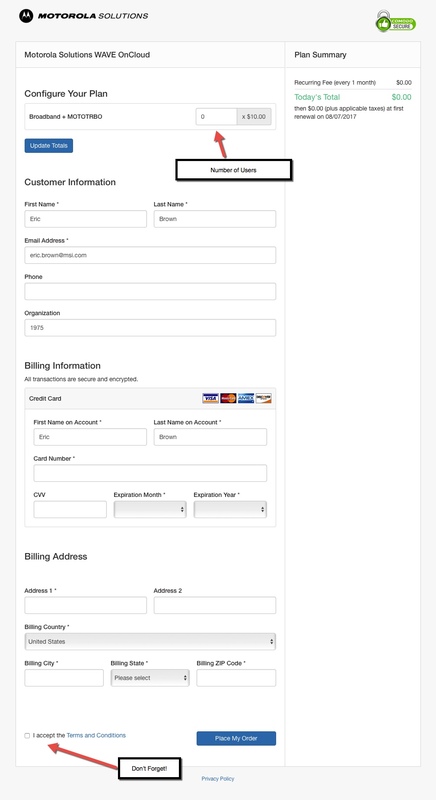 Once you have selected the plan, the billing information page will be presented. Make sure you enter a value for the number of users- this will be the people using the mobile and web communicators. Enter all data and don’t forget to accept the terms and conditions. Click Place My Order. 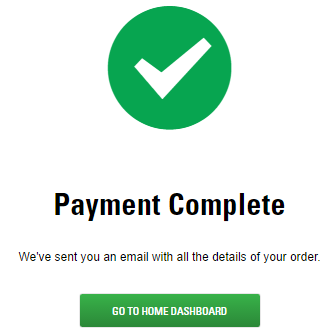 When its finished processing you will see this page.